Charles Tanqueray experimented with many different ingredients, but alighted upon his favoured botanicals that make up Tanqueray London Dry Gin, which nowadays are added in the second distillation. Juniper, coriander, angelica root and liquorice are some of the array of herbs and plants that goes into the classic gin. The exact recipe is a closely guarded secret, known only by a select few. 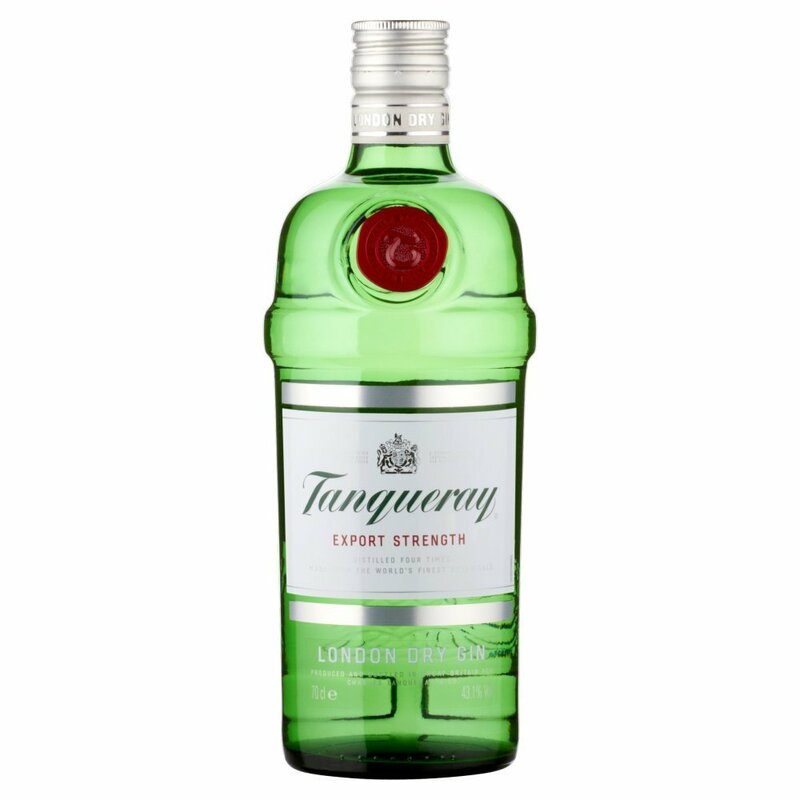 Tanqueray London Dry Gin makes a classic G&T, served with a generous amount of tonic water with ice and a wedge of lime. It also creates a fine martini cocktail, stirred with a pour of vermouth and a twist of lemon peel gently curved over the glass, and gives a delicate botanical edge to the lean Tom Collins along with lemon juice sugar syrup and a pour of soda water. The grapefruit and citrus botanicals also make it ideal for balancing out the subtle sweetness of Benedictine, grenadine and cherry brandy in the Singapore Sling.